Parking is suggested at any of the Pay & Display car parks in the town. Due to the tight race schedule throughout the day, there will be no warm up on the race course. Please bring rollers, a turbo trainer or warm up safely on surrounding roads (parts of Marine Terrace are also closed to traffic, but are not part of the race route). This event is the Welsh Circuit Race Championships. Only riders who enter before the closing date and meet Welsh Cycling eligibility criteria are eligible for Championship Titles. Riders may enter on the day but will NOT be eligible for the Welsh Championships. There will be a gear check for all Youth and Junior riders, which you must pass before you sign on. All riders must hand in their racing licence when signing-on. Riders who do not have their racing licence will not be able to ride in Championship races. All competitors must wear a hard safety helmet that meets the British standard. Upon arrival, competitors should make their way to our Registration portable cabin on Marine Terrace (outside the Seafront Palace Chinese restaurant). Outside the Registration Portable cabin, the riders will be ushered into holding pens on Pier corner where they will wait to be called onto the course to make their way clockwise to the start line on Pier St. The race commissaire will line the riders up on the start line and issue instructions on race length, safety and riding conduct. Riders may then be given a warm up lap depending on time constraints and will then await for the start hooter and off they go! Mins + laps? This is the easiest way for the judges and lap counters to administer the race. We’ll blow the ‘hooter’ after the relevant minutes of racing, at the start of what will be the laps remaining. If you have a cycle computer, keep an eye on the stopwatch and save a bit for when you hear the bell for the last lap. PLEASE NOTE: we will be using timing chips for these races for all races – please check the information below about this. DURING THE RACE – In line with the latest British Cycling update to the technical regulations, there will be no “laps out” granted to riders who suffer a mechanical problem. Riders who are lapped may join in riding with the riders who lap them – but they must remain at the back of the group and not contribute to the racing effort. Once the race has finished, riders will be asked to leave the course via one of our designated crossing points. AFTER THE RACE – Youth riders: please return your race numbers promptly after you have raced – we will need to use them for races later in the day! Please remember to return your timing chips to the signing on area. Upon arrival, children & teachers should gather on Marine Terrace (outside the Seafront Palace Chinese Restaurant) and await their races via our PA announcer and stewards’ instructions. This year, each child will have had their number given to them via their school prior to race day. The number should be attached to the child’s back and should not to be obstructed by a coat hood or long hair, as judges will be unable to place riders if the number is obstructed. Please also ensure that the number is affixed with at least four safety pins, which will also be provided by the school. We will have an enquiries Portable Cabin as usual (just by the Pier), but there is no need for children to register here as registration will have been done, via the schools prior to race day. Any teachers or parents with questions are welcome to come to the Portable Cabin where our staff will be happy to help. Each race will be announced by our race commentator. When instructed, children should gather at our holding pens on Pier corner and wait to be called onto the race course, clockwise towards the start line in Pier Street. The race commissaire will line the riders up on the start line and issue instructions on race length, safety and riding conduct. Riders will then await for the start hooter and off they go! Once each race has finished, riders will be stopped after the finish line and the first three awarded their prize on the podium. All children will then make their way back to the promenade with their teachers and assistants using the pavement. We will be using timing chips for every race in the Welsh Championships programme. Each rider will be issued with a timing chip with his/her race number. The chip is linked to the race number – so please make sure you keep the chip you were issued with. Mum’s / Dad’s: if you sign more than one child on, please make sure you keep the right chip with the right child! 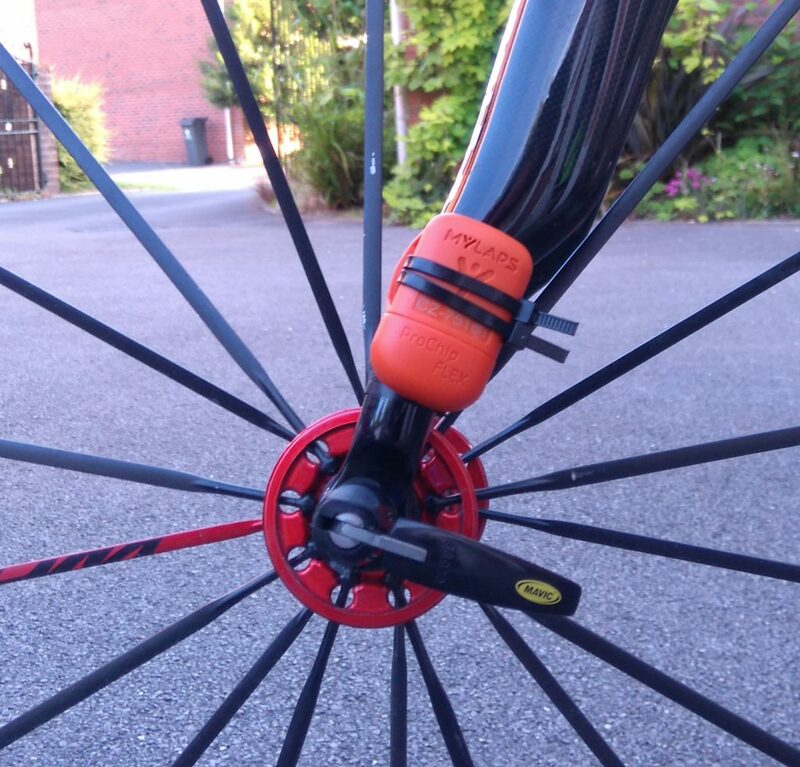 If you are concerned about the cable ties / chip damaging the paintwork, please use some insulation tape or bar tape between the chip and the forks. If you put the chip anywhere else, you will be at risk of being left off the result – or being given a lower position in the race. Please do NOT use sticky tape to fix the timing chip to your bike: each chip has a unique number on a label stuck to – if you use tape, this label may be removed and we may have a problem identifying the chip and with getting a result in a future event. If you have any questions or concerns about fitting the chip, please check with the signing-on helpers. After the race, as soon as possible, please ensure that you return the chip with your race number. Snippers will be available from the signing-on area to use to cut the cable ties and free the timing chip.